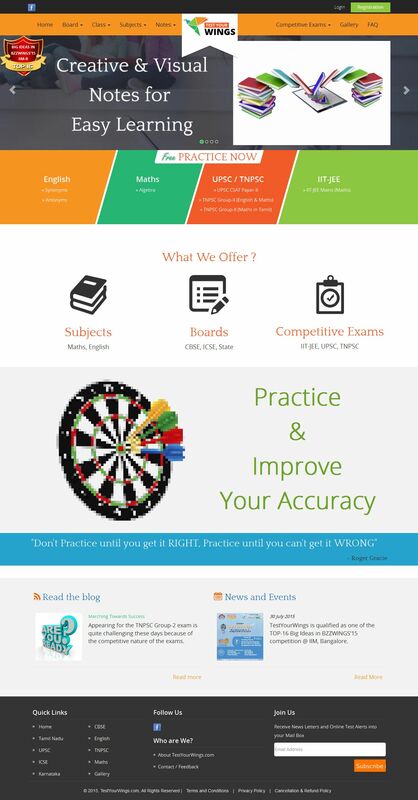 TestYourWings.com is a unified online test platform for students and competitive exams aspirants (UPSC, TNPSC, etc). It is designed to provide creative notes and practice tests for students/aspirants to improve their knowledge and problem solving skills. We have successfully done this project using Core PHP, MySQL, HTML5 & CSS3. We have vast experience in PHP / MySQL development and a sound knowledge of the entire PHP framework. Customization PHP development is an accomplishment of our company and our expert PHP developers. Do you want to develop websites using Core PHP? Please let me know we will give the best website along with good service always long term.